Every event is different- Let InJoy Your Band make the difference for you! Your event is not like all others, it is unique. All the better! We will cater to whatever needs you might have and create that bridge you want for all the different cultures you’ll have in your wedding. Whether it’s a Bouzouki player, a Russian singer, an Oud virtuoso, an Armenian DJ, or a Scottish Bagpipes, we will station them right on your dance floor. Whether it’s a string quartet, an accordion player, a DJ that plays with the band or a band that plays with the DJ- We will make it happen for you while making sure that each and every guest is feeling at home. 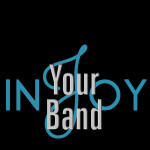 InJoy Your Band is exactly what it’s called- a custom band made to your special needs, dreams, desires, and, of course, budget. With YOU selecting the instruments, the singers, and even the costumes from the extensive selection we have- you just can’t go wrong! Your band is yours only! Nobody else had or will have your band- Because it’s uniquely specified and designed to what you need and want.